I remember these words so well, and they always seem to pop into my head in these last few days of the year, they seem to sum up that mood so well. Don’t ask me exactly what they mean – even Leonard Cohen was puzzling over the lyrics thirty years later. 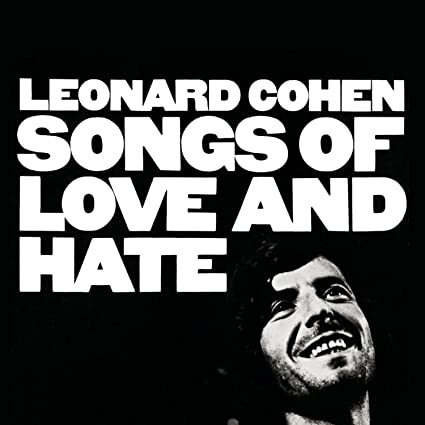 But it is one of his best songs – Famous Blue Raincoat – from Songs of Love and Hate. This is from memory, because I have played this song so many many times, I never tire of it. “It’s four in the morning, the end of December, I’m writing you now just to see if you’re better. New York is cold but I like where I’m living, there’s music on Clinton Street all through the evening. I hear that you’re building your little house deep in the desert; you’re living for nothing now, I hope you’re keeping some kind of record. Yes, and Jane came by with a lock of your hair, she said that she gave it to you, that night that you planned to go clear. Did you ever go clear? The last time we saw you, you looked so much older, your famous blue raincoat was torn at the shoulder, you’d been to the station to meet every train, then you came home without Lily Marlene. You treated my woman to a flake of your life and when she came back she was nobody’s wife. I see you there with a rose in your teeth, one more thin gypsy thief. Well I see Jane’s away (awake?). She sends her regards.